St. Catherine's Anglican Church, Port Coquitlam: Farewell, Paul and Kate! And so an era ends… Reverend Paul Strudwick conducted his last Sunday service at St. Catherine’s on May 11. 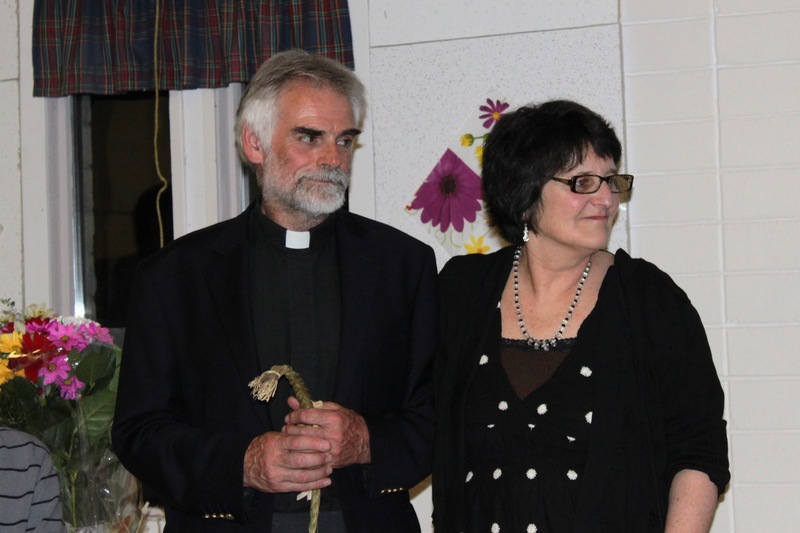 After serving as incumbent priest at St. Catherine’s for nine years, Paul and his wife Kate are leaving to take up a position with the Church of England in Menorca, Spain. 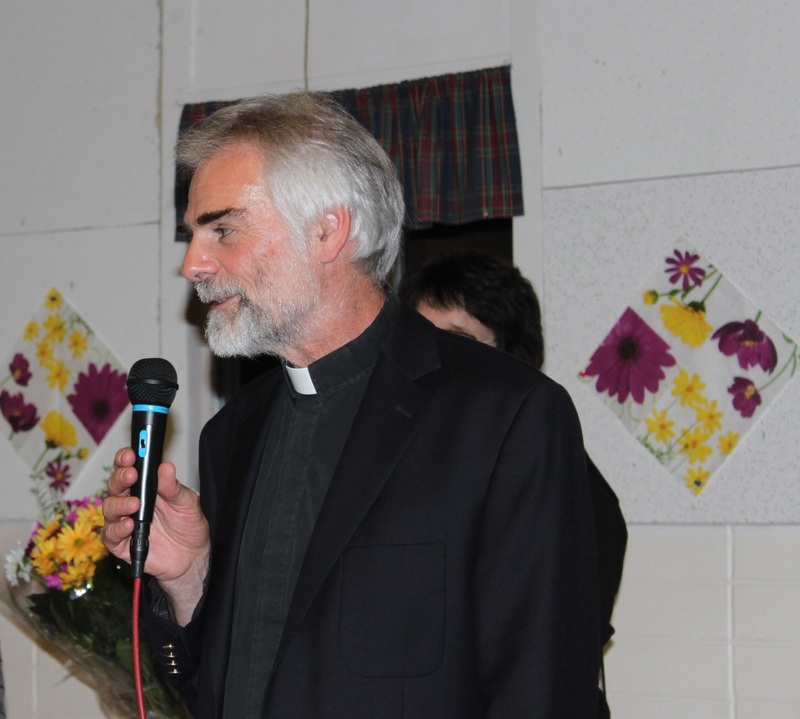 Their leave-taking has been marked by several events in their honour – a piano concert performed by St. Catherine’s music director, Kevin Wong; words of tribute at the conclusion of a joint service with Trinity; and an evening wine and cheese reception. While preparing for these events – and for the leave-taking to follow – members of St. Catherine’s have had a chance to reflect on the last nine years. Paul brought to St. Catherine’s creativity and innovation – the Narnia plays, vacation Bible-film school, Messy Church, summer services in the park, donkeys for the Palm Sunday procession, birthday and anniversary prayers and more. He brought something else as well, something not easy to describe, style with empathy that touched the parishioners of St. Catherine’s and Trinity United Church and others in the community. St. Catherine’s is stronger for his leadership. Thus, St. Catherine’s moves into a new era. On March 18 we will welcome an interim priest, while our Canonical Committee begins the work of finding a new permanent priest. We will begin to embrace new traditions while keeping Paul’s ministry in our hearts. Farewell, Paul and Kate. We wish you blessings and happiness in your new mission. For Paul's parting words to St. Catherine's see http://www.stcatherineschurch.ca/Saint_Catherines/Reflections/Reflections.html.